Product prices and availability are accurate as of 2019-03-28 01:25:54 EDT and are subject to change. Any price and availability information displayed on http://www.amazon.com/ at the time of purchase will apply to the purchase of this product. The classic way to enjoy outdoor living is with this set of rocking chairs and matching table from Cloud Mountain. 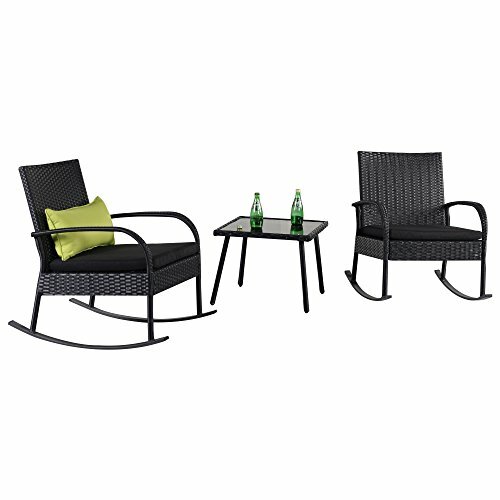 The 2 rocking chairs and 1 side table make a great addition to your outdoor patio or deck. Solid iron frame construction, high quality PE rattan and polyester cloth in exquisite workmanship ensures lasting durability. Assembly is quick and easy right out of the box. 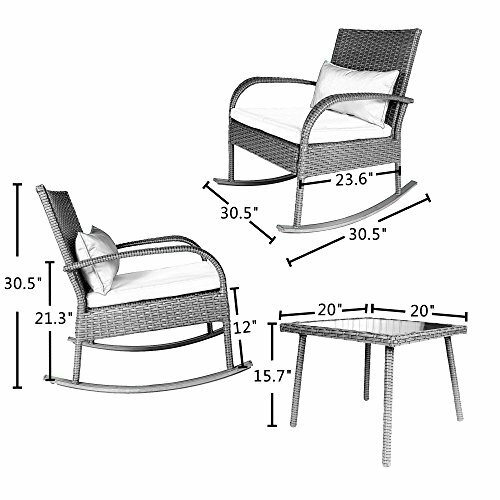 The Cloud Mountain 3-Piece Rocking Chair and Table Set is essential for any backyard or patio setting to complete a look in comfort and style. 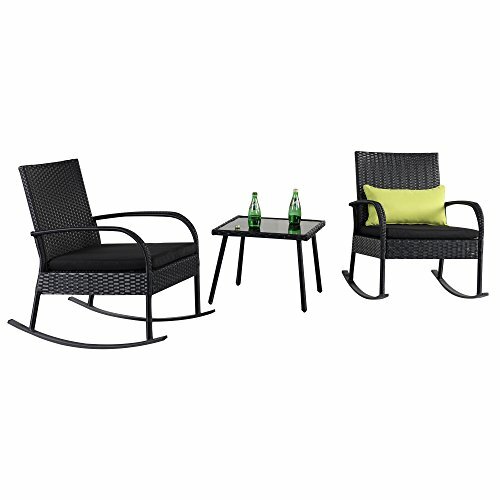 - 2 rocking chairs and 1 side table set make a great addition to your outdoor patio or deck. - Solid wrought iron frame construction, high quality PE rattan and polyester cloth in exquisite workmanship for ensured durability. - Tea table with tempered glass for refreshment placement. 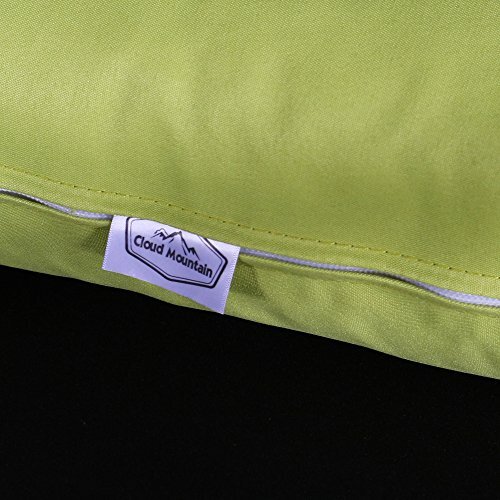 - Thick padded cushions for optimal comfort. - Quick and easy assembly right out of the box. 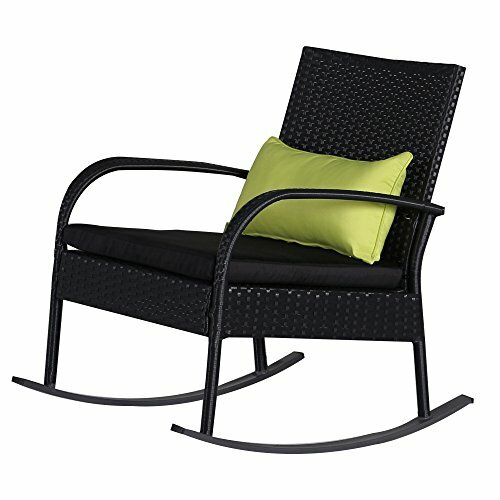 Beautiful Outdoor All-Weather WickerL: Black synthetic resin wicker designed for the outdoors. It is weather and UV resistant. Looks great in any setting! Comfortable Rocking Chairs: Thick cushioned chairs for maximum comfort. Bottom cushion has zipper for easy washing. Added rocking feature to rock yourself into a state of relaxation. 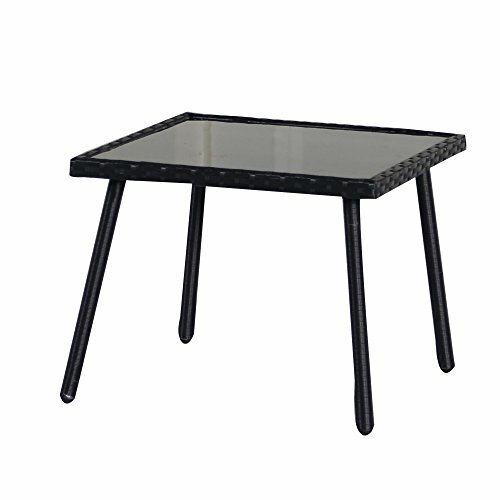 Black Tempered Glass Top Coffee Table: Perfect size for a couple glasses of wine or the morning coffee and newspaper. Easy Assembly: Instructions and all necessary tools included for smooth assembly. The whole set can be assembled in 10 mins. Dimension: Chair Dimensions: 30.5" x 23.6" x 30.5". Table Dimensions: 20" x 20" x 15.7"